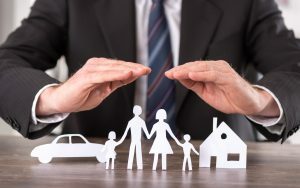 Have you ever wondered how you and your family would make ends meet if you lost your job, suffered a debilitating injury or had a critical illness? While Statutory Sick Pay might help a little, at around £86 a week* you may well need to have extra protection in place. How would your mortgage be paid if you died? With life insurance to help protect your mortgage, it could be one less thing to worry about. Options to suit your mortgage product. Helps to pay off your mortgage if you die during the policy length. Option to include Critical Illness Cover from the start (additional premium applies). How would your loved ones manage financially if the worst should happen? With life insurance to provide important financial protection for your family and for you. Cover for you if you die during the policy length. Flexible if your circumstances change. How would you cover your monthly living costs if you were unable to work? If you’re concerned about the financial effects of being out of work due to incapacity caused by an illness or injury, you could get cover to provide a monthly benefit while you recover. Choose length of cover you need.